Golf has never suffered from a lack of good instruction, from PGA teaching professionals to decades of tips in Golf and Golf Digest, Hogan’s Five Lessons, more books than you can count, and now the omnipresent Golf Channel. The volume is proportional to the difficulty of the sport. But for novices, making contact with a ball is merely the beginning of an immense and often baffling number of choices. This is where Jordan Fuller comes in, with his Golf Influence website, a dense repository of advice on the best approach to golf for beginners, an analysis for the best balls for a high handicapper, 15 ways to stop topping shots, and ideas that explain the best practices of professional golfers and how those apply to beginners. Most remarkably, it’s free. No catch. No loss leaders. Nothing for sale hidden within the website. Born and raised in Omaha, the 52-year-old Fuller has been at this for more than 25 years. 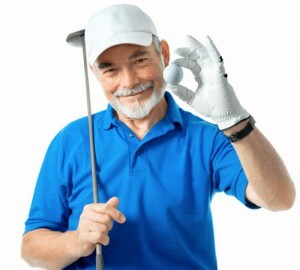 A self-styled golf enthusiast – – he doesn’t have PGA credentials, nor is he affiliated with any course or range – – Fuller has worked for a number of golf equipment companies. And he knows enough to walk beginners through the basics of competency. “After studying where beginners would struggle the most, I decided that something should be done to prove free and efficient training for a game improvement plan,” says Fuller. That’s when he launched Golf Influence, “a guide I’d wish I’d had,” albeit in the ancient pre-Interrnet epoch.